Have you ever stopped and meditated on the names of God? Yahweh shalom. Wonderful Counselor. Bread of Life. LORD of hosts. Righteous Judge. Just what exactly do these names mean- and more importantly, what do they tell us about who God is? In The Name Quest, pastor and author John Avery takes readers on a fascinating journey through the names of God, using profound word studies and wonderful scriptural insight that give a deeper understanding of God’s character and His word. Full of wonderful analogies and anecdotes, this exhaustive resource is anything but dry. Rather, it inspires readers to take a deeper look at the love, grace, and righteousness of God revealed through His names- and how our understanding of who He is can transform our lives and our relationship with Him. Based on sound Biblical doctrine, the book also addresses issues such as sin, punishment, and hell -all the while offering readers hope through the message of salvation. Avery explores scripture from Old Testament to New, including the book of Revelation, with nuggets of insight that will leave you wanting more. 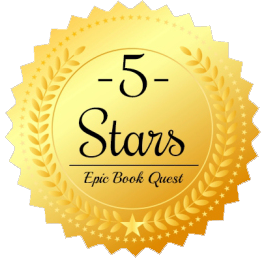 Powerful and Spirit-filled, The Name Quest is sure to recharge your spiritual batteries and help you to grow in your faith. Christians will be empowered and encouraged as Avery examines the completeness of Christ’s victory over the enemy, examining our task as believers to “drive back satan’s defeated gang and free his captives.” For those who are struggling with guilt, anxiety, or depression, this book will overwhelm you with the healing love of God and remove any doubts about His will to make you whole again. This book is one of the most encouraging, faith-building books I’ve read in quite a while. Not only is it well studied and put together, Avery writes in a down-to-earth and conversational way that makes reading this book a pleasure. A fantastic resource for deep scriptural study, I cannot recommend this book highly enough! 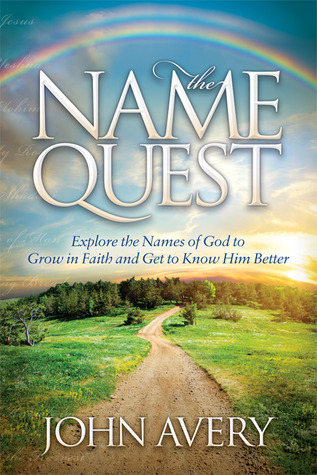 John Avery is the author of The Name Quest – explore the names of God to grow in faith and get to know Him better (Morgan James Publishing, 2014). He is a trained teacher with over thirty years experience as a Bible teaching pastor, small group leader, and missionary. He has lived in England, Israel, Africa, and the Caribbean, ministering with Youth With A Mission (YWAM) and local churches. He and his wife, Janet, now make their home in Oregon. John likes to hike, snowshoe, and cross country ski. 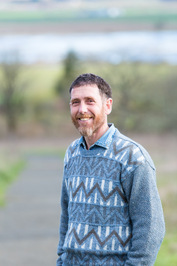 John writes a regular Bible devotional on www.BibleMaturity.com and maintains a comprehensive resource for all the names of God at www.NamesForGod.net.